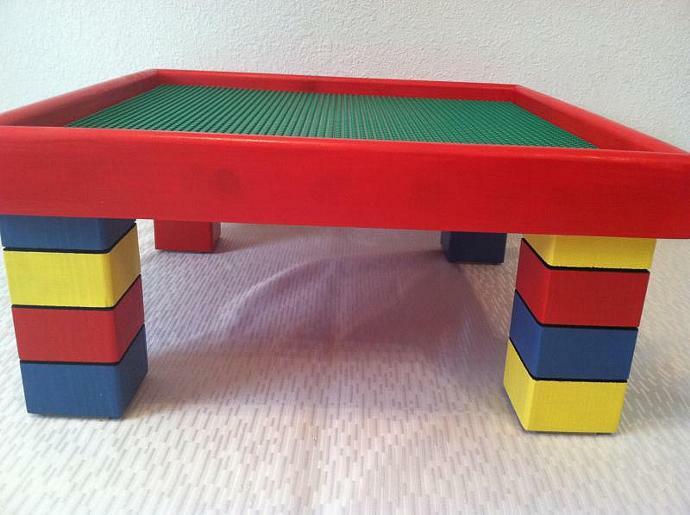 The perfect Christmas gift and best built table around! 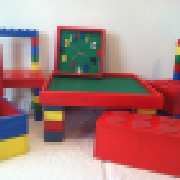 This well-made, solid wood, custom built table, made for the building block lover, will last a life time. Watch your child's creations come to life right before their eyes as they grow up with this unique toy. Tabletop features raised edges to keep items in place. Since this photo was taken, we have added green to the color pallet. If you would rather not have the green added to your table, please let us know! Can make a custom order of almost anything: size, flat tabletop, color, etc. Just ask! Prices will vary. Order from our shop anytime in November, and receive a free Stocking Stuffer that your child is sure to love! Make sure to get your Christmas orders in by December 2nd!